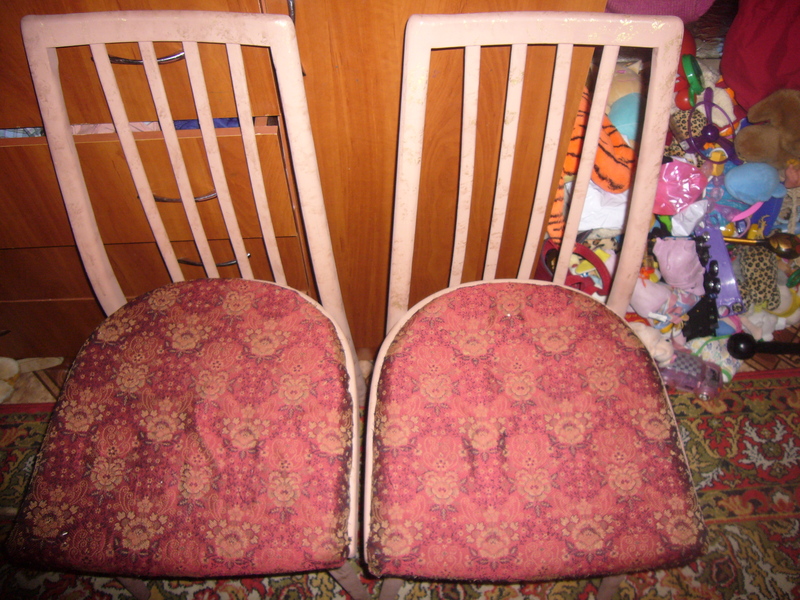 Update on repairing old chairs: I got two of them done. I have fished out my old chairs out of the garret and fixed them. I puttied them, repainted and reupholstered. These looked horrible, just two pieces of old junk. Now they look pretty nice and fit for the living room. I love to give old things and old furniture a new life. This entry was posted in Uncategorized and tagged chairs, crafts, creativity, furniture, handmade, home decor, home design, old furniture, reupholster, reupholster chair. Bookmark the permalink.